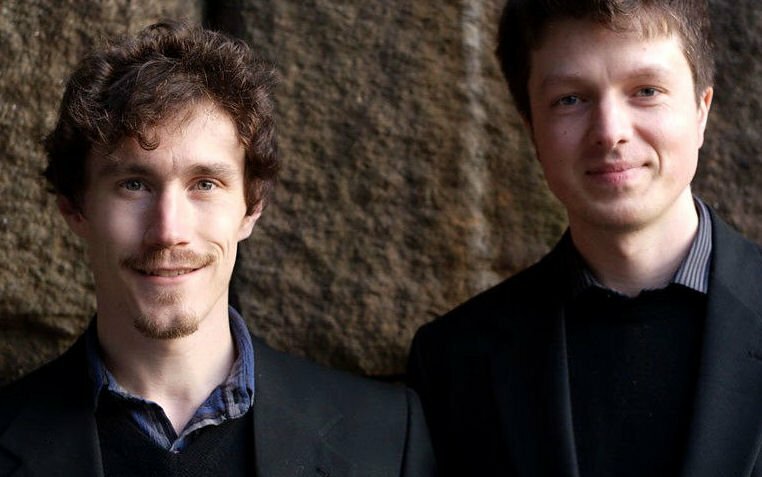 Playing a rare and eclectic repertoire on both classical and electric guitars, Jamie Balmer and Joseph Ricker as Duo Orfeo are emerging as one of the most distinctive voices in the classical music world. Duo Orfeo draws their repertoire largely from hidden and under-explored byways of western musical tradition both past and present—ranging from Renaissance lute and French Baroque harpsichord music to compositions by such modern masters as Arvo Pärt, Federico Mompou and Valentin Silvestrov—an ever-expanding body of music that includes many of their own arrangements of works written for other instruments as well as works written for the ensemble of guitar duo. They play this unique repertoire on classical guitars with an approach inspired by the tradition of Andres Segovia (which they learned from Phillip de Fremery, a guitarist and teacher who studied with Segovia and a true curator of his legacy) and also on vintage electric guitars through tube amplifiers, creating a new sound that is all their own by playing these instruments (normally associated with styles outside of classical music) with the finesse, clarity and focused touch of classical musicians. Deeply enamored with the sonority of their chosen instruments and relentlessly searching out the music most in harmony with their expressive sensibilities, Duo Orfeo brings to life a world of sound that is intimate, charming, subtle and haunting. Duo Orfeo enjoys a growing performing career and has recently been hosted on concert series at Washington College, Bates College, St. Vincent College, Trinity Episcopal Church in Hartford, the Church of St. John the Evangelist, Boston, Newark's Cathedral Basilica of the Sacred Heart, Boston’s Taylor House, and the Brookline Library Music Association Additionally, Duo Orfeo eagerly seeks out performance opportunities in jazz cafés, book shops, farmers’ markets, art galleries, union halls and other venues not traditionally associated with classical music performance, including the Galapagos Art Space in Brooklyn where, in 2011, they participated in the “Machines” project, a multi-media collaboration with kinetic sculptor Arthur Ganson. 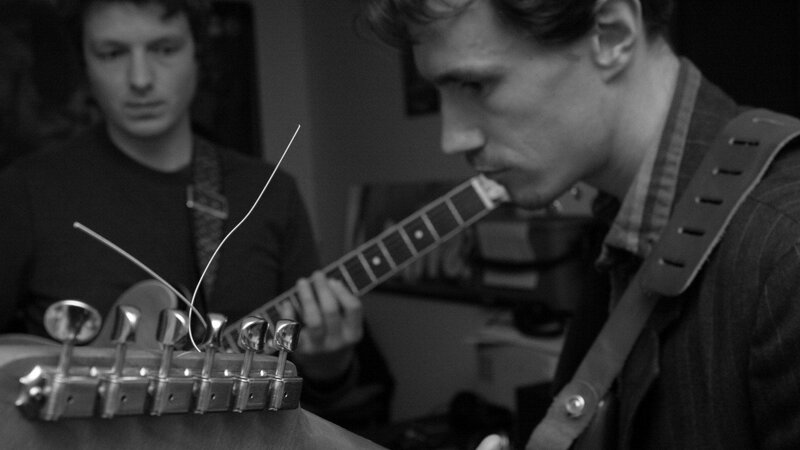 Duo Orfeo has released three recordings to date. 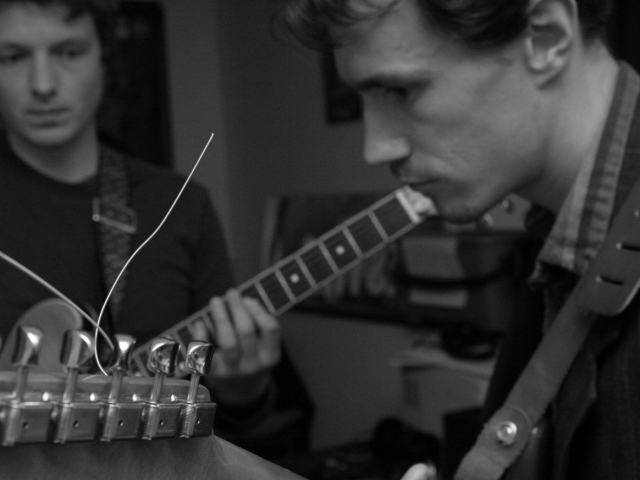 2012's I sing the body electric is their landmark first essay on electric guitars and features their arrangements of works by John Cage, Federico Mompou, Arvo Pärt, Erik Satie and Valentin Silvestrov. This album was produced by the recording artist, composer, and inventor of the archguitar, Peter Blanchette. The Grace Sessions (2005) includes music of Bach, Brahms, Boccherini and Albéniz. 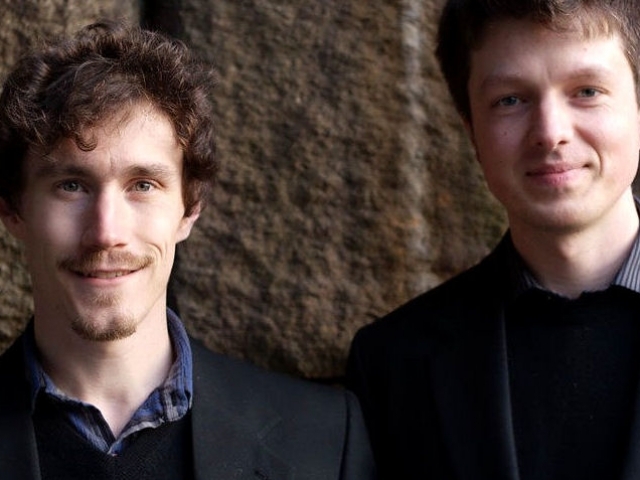 Joe Ricker and Jamie Balmer formed Duo Orfeo in 2005, taking their name from Orpheus, the poet and musician of Greek myth.